I never knew how much time blogging took until I tried it out for myself, and I don’t even post as frequently as you do, Javabeans! I just wanted to let you know that I really appreciate your efforts, and I am in awe of your blogging prowess – how do you actually manage the rest of life, with how much you blog? – and I’m grateful that you do what you do, because it does so much for our k-loving community, and I love that you do it with style. Your writing is a pleasure to read. Thanks kfangurl! Managing the rest of my life outside of blogging is something of a work in progress. In early days I was happy to stay up nights and give up a lot for the enjoyment of it, but seven years in, balance becomes way more important. What a coincidence that I happened to click on the link to this blog of yours today, when you just happened to write a rare post. First, I so agree with you about changing blog designs and fonts. I’m trying to start a blog right now and have tried a bunch of different themes, to find a satisfactory combination of font and photo layout. I also agree that’s it’s great, and at times necessary, to have an outlet for your (mostly) unfiltered thoughts, be it a journal or personal blog or something else. I just wanted to say that I appreciate so, so much what you do with the The Main Site. I discovered it in its relatively early ages, and have been an avid reader since. How I wish I could have gone to the meetup earlier this year! Thank you so much (and the rest of the team over there) for consistently providing many laughs and thoughtful points of conversation. More importantly, though, don’t overwork yourself! My mom’s job has recently gotten crazy busy and she’s working such long hours that her health is at risk and I seriously worry her body may give out from exhaustion. I would hate for you or anyone else writing recaps to work to that extent. We would totally understand if you need to reduce commitments in the short run to keep the site alive and producing quality content in the long run. Thanks again for what you do (and for the photo of Kim Soo-hyun). Take care! Thanks Kathy. Exhaustion is no joke – tell your mom to take it easy! It’s awesome when you enjoy work so much that you’re willing to go above and beyond for it, but the way I see it I need it to be sustainable too. Zzzzzzz. Oh, and we’ll try to plan another meetup… soonish… hopefully! I agree with Kathy, sleep is important! DB is important too, but without JB there will be no DB, so your well-being trumps it all. Wow! 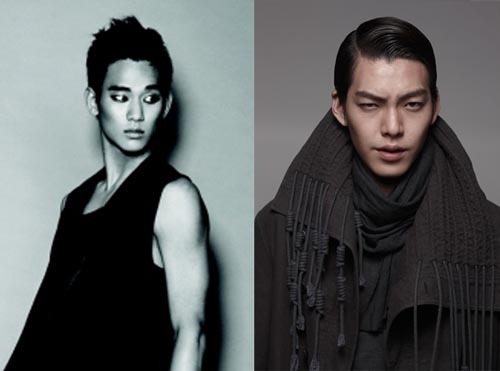 Kim Soo Hyun did eventually play an alien character! Daebak javabeans!! Although this blog is pretty much dead, but just want to let you know that you are absolutely correct in your opinion of having Kim Soo-hyun to play an alien! =D looks like the Korean drama production totally agrees with you! I have been doing this weird research thingy of going to the first posts of Dramabeans while at office (really shows how much I like my job. Not.) That is how I found this blog and actually got to your real name.